Session fees vary depending on funding sources. I was born and raised in Saskatchewan, and thus have a deep love of the prairies and the beauty inherent in the land and its people. 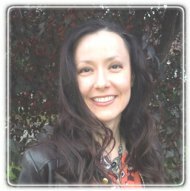 I have been a practicing Registered Psychologist for the past 19 years, working in the Regina Qu'Appelle Health Region in various capacities (Acquired Brain Injury Outreach, Bariatric Assessment Clinic) and private practice. I am presently working primarily in private practice focusing on individual counselling with adults (age 18 years and older). I received my Master's in Educational Psychology at the University of Regina in 2000. I have been working on completing my Doctorate in Educational Psychology, focusing on the use of yoga in the treatment of trauma. I am certified as a yoga instructor. I have taught classes through the Lifelong Learning Centre affiliated with the University of Regina on Mindfulness. I have completed the Basic Training in EMDR (Eye-Movement Desensitization Reprocessing; EMDRIA approved), an empirically validated treatment approach for trauma healing. While working on the South Saskatchewan Acquired Brain Injury Outreach Team I received many opportunities for training in supporting individuals and family members in the aftermath of Acquired Brain Injury. More recently, I have been employed with the Bariatric Assessment Clinic in which I conducted psychological assessments and supportive counselling. I remain affiliated with this program by providing supervision to psychology staff. I have also had the opportunity to provide supervision to provisional psychologists who are obtaining registration through the Saskatchewan College of Psychologists. I have also served as an examiner for the Oral Examination Process for prospective registrants with the College. My counselling approach has always been client-centred, which refers to the collaboration between client and counsellor in the development of treatment goals and strategies. I consider it my privilege to support people when they are going through difficult times in their lives. I believe that people have the capacity for healing and growth when they feel supported in a therapeutic environment of safety, openness, compassion, and non-judgement, which allows for individuals to feel heard and validated. My philosophy of treatment is to consider the whole person, which includes focusing on the mind, body, and spirit. Thus, the treatment approaches that I can offer clients take into consideration not only the effects of challenges on mental functioning, but pay attention to how all aspects of the individual are affected by difficulties, such as the physiological effects on the body and overall psychosocial functioning. I am always inspired by the strength and resilience of every individual who comes through my door. It is my passion to support people in their healing journeys.